Okay, I admit it; you were never a poppy seed. But you were the size of a poppy seed when you were 3 – 4 weeks old inside your mother’s womb. You were the size of an apple seed at five weeks; a pea at six; a blueberry at seven; a raspberry at eight; a green olive at nine; and so on. Here’s a neat website that provides more of these tangible comparisons. 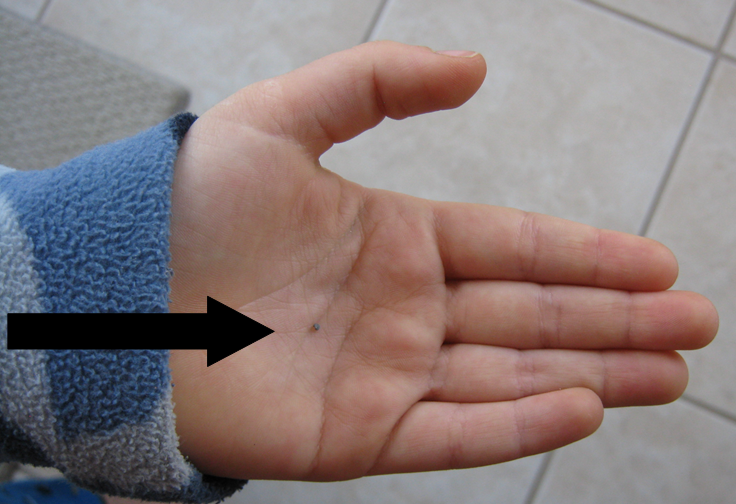 The point of all this is, were you still you even when you were as small as a poppy seed? Relative size is one of the most common rationalizations for abortion. Besides size, the only other ways that a baby outside the womb differs from one inside the womb are level of dependence, degree of development and location. I decided to explore these with our children when they were 6 and 8 years old to try to understand each of them better. A central question to the abortion debate should be to determine what is being destroyed during the abortion procedure. As Greg Koukl and Scott Klusendorf aptly point out, before a building is destroyed, you would check to make sure that there weren’t any humans inside it. However, you would not verify whether or not there were cockroaches or ants or rats inside before destroying that same building. Humans are different and life is important. The answer lies in our being made in the image of God. Life is sacred at all stages. It doesn’t matter what you look like or can do at any stage outside the womb in order to be valuable. The same holds true for life inside the womb. ← Does the Bible Tell the Real Story About Jesus? The argument has nothing to do with relative size, but neuronal complexity. At the size of a poppy seed you have no neurons at all…you are like a skin swab from the inside of a cheek…from which you can also make a human being by cloning. Is that sacred, too? Are twins not so valuable, because their DNA is not so unique? That is a valid conclusion from the argument from genetic uniqueness. It seems like you are trying to argue that life begins once a certain degree of neuronal complexity exists. Could you please explain why this factor in particular should define when life begins? I believe you have misunderstood my comment about DNA. The point is not that each person’s DNA is unique, but rather that each of us has the same unique DNA at conception that we’ll have for the rest of our lives. It’s an argument that we are ‘who we are’ from conception, not at some other arbitrary point. So, your point about twins is not relevant to this argument.